While forgiveness is the ‘right’ thing to do, everyone struggles with it. You can avoid the struggle by considering the value forgiving someone brings you – it frees you from all the suffering. I read a recent interview that author Chetan Bhagat gave ‘Bombay Times’. He talks about the turbulent relationship he has had with his father to Priya Gupta: “I felt he was not fair to my mother. Maybe, it was a result of his own inner frustrations, but he would not give her freedom and I had to write ‘2 States’ a) to understand where my father was coming from and b) to forgive him. It was difficult for me to forgive him, but ‘2 States’ helped me forgive my father. He lives in Delhi and I rarely meet him. I last met him at a family function two years back. Even if (I have) not forgiven (him) completely, there is no anger in me today and at least I have reached a stage of indifference. I am still working on it.” I can relate to what Bhagat is experiencing. I have been through exactly the same feelings in a few of my close relationships – forgiving is indeed difficult. 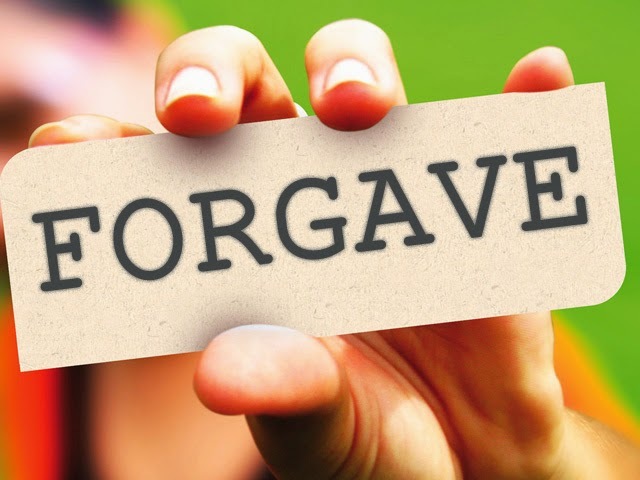 But when you do forgive someone, it sets you – and them – free! What we need to understand about forgiveness is that it is not necessarily something that can always happen in a nanosecond. In most cases, it happens over time and through “waves of awareness”. The need for forgiveness arises primarily when you have been wronged or you feel you have been wronged. Since the issue begins with who’s right and who’s wrong it really is about gamesmanship between two, often unrelenting, egos. Then there’s enormous hurt to deal with – you keep wondering why you have been treated this way by the other person. Your asking why only makes the situation worse. Whatever has happened has happened; someone’s hurt you. Asking why, and seeking remedy or an apology or even an explanation – none of which is normally forthcoming – causes all your suffering. To really forgive someone you must cross all these barriers. You can do that only when you are “aware” that Life is too short to carry the burden of anger, hurt and grief. You, of course, know this truth about Life, but when you are hurt, you are simply not conscious about it. This awareness takes time evolving. But you can make a beginning by understanding that forgiving someone does not mean condoning their actions, behaviors or mistakes. It really means that you recognize and accept that they are human too and are therefore prone to making mistakes. Next, when you forgive, forgive unconditionally. Don’t sit in judgment of whether someone deserves to be forgiven or not. What is important is that you need to forgive for youto stop suffering, for yourhurt to heal. Third, when, despite your forgiving, you find that someone is not sorry, don’t agonize. That’s their problem. Remember that when you have an expectation over someone else’s behavior, you will be the one to suffer when your expectation is not met. So, why invite agony? Finally, forgiveness does not mean you will be comfortable in the person’s presence or when you think about that person. This is particularly relevant to remember in close relationships where you cannot avoid interactions completely. What forgiveness does is it takes away the sting, it draws out your anger and, as Bhagat explains, it helps you to stay unmoved and indifferent. I have learnt from Life that every instance that involves someone hurting me has only led me to grow wiser and stronger. Until I learnt to forgive I would be bitter from such experiences. I now realize that while some episodes cannot be forgotten, forgiving is best in everyone’s interest. It have found that it makes me feel lighter and stay positive. Today, as any other, is a good day to forgive anyone who’s hurt you or even yourself for what you may have done. Think of forgiveness as an evolutionary process. And go through it. Taste the freedom it brings you. It’s bliss.